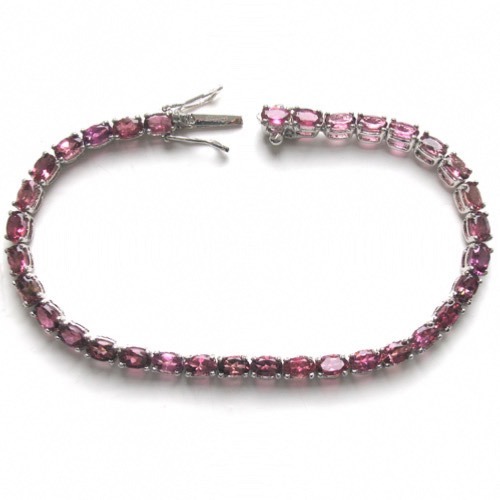 This fabulous bracelet is a string of faceted tourmalines in shades of cyclamen pink, each one claw set and mounted in a sterling silver crown. 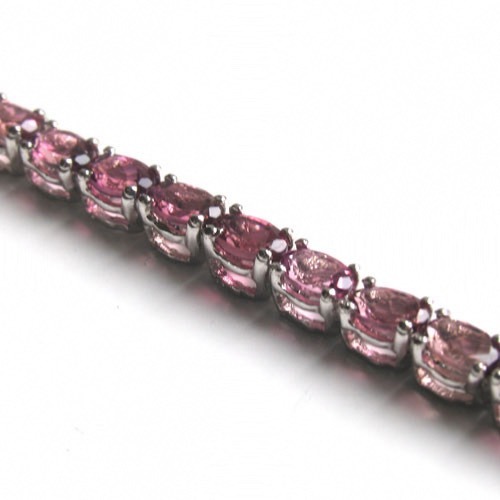 The tourmalines are clear and brilliant and the colour intense and vivid. 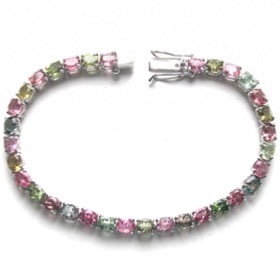 This wonderfully fluid bracelet fastens with a safety clasp. 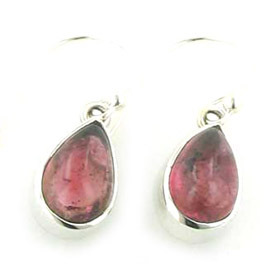 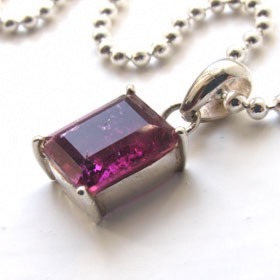 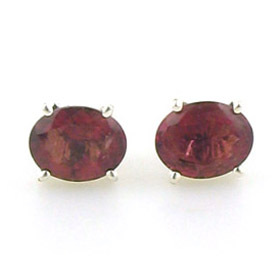 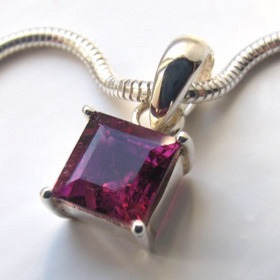 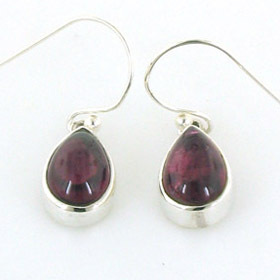 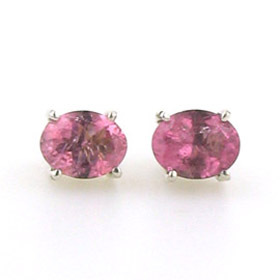 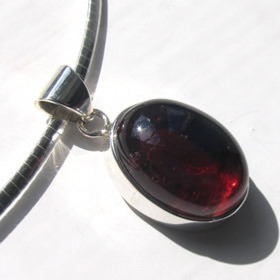 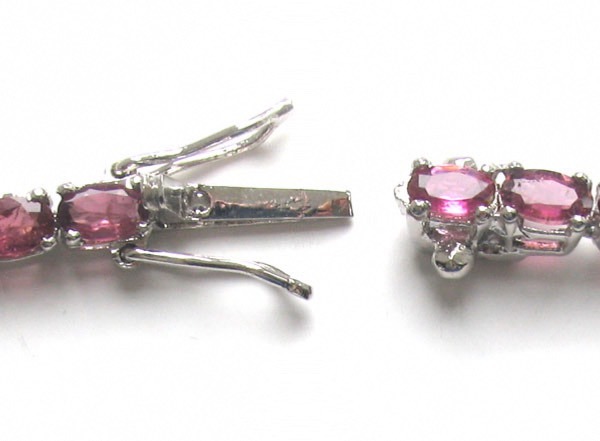 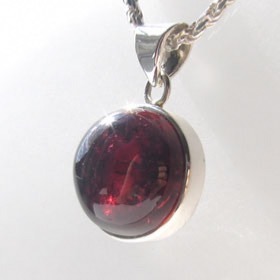 See also our tourmaline pendants and tourmaline earrings. 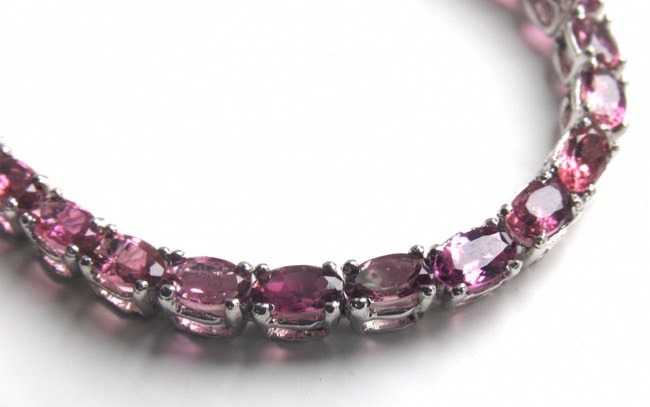 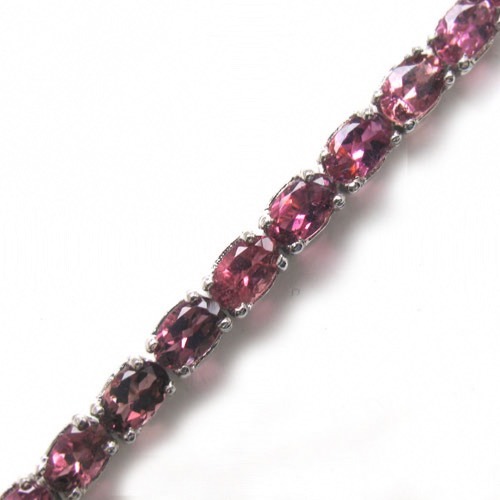 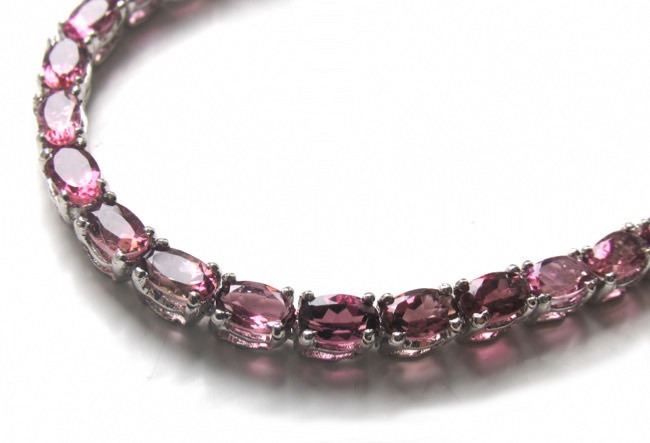 Choose this pink tourmaline bracelet for the best dressed wrist!